Wouldn’t it be great if buying a home were as simple as it is in a game of Monopoly? All you’d have to do is find a desirable neighborhood, hand the bank a few bucks, and you’d receive a house. Of course, the home-buying process is a bit more complicated in real life (especially for first-time home buyers), but it’s not impossible. Competition among buyers in many markets has gotten intense, so if you’re serious about homeownership, you’d better get your act together. To point you in the right direction, we’ve prepared a road map of the home-buying process. From choosing the right professionals to signing that final contract, here are the typical steps you need to be aware of. 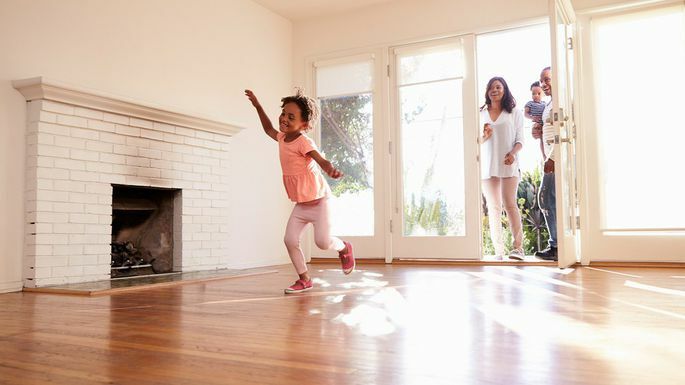 “Having a pre-approval letter in hand when you’re ready to purchase a home adds strength to your offer, which can be an important advantage in this competitive home-buying market,” says Jill Frank, a Realtor with Wisconsin’s Coldwell Banker Success. Now comes the fun part: searching for homes that meet your parameters. When you begin touring homes that are on your short list, take along a notepad and jot down your thoughts as you approach each home. Can you imagine yourself living there? “Peruse them and make note of what you like about each home,” says Hattaway. Once your offer to purchase is accepted, you’ll work with your lender to get final approval for your home purchase by the date specified for the closing. The lender may require you to pay property taxes or homeowners insurance for the first year at the time of closing, so make sure you know what funds will be expected. “Don’t make any major purchases like that big-screen TV or riding lawn mower until after closing, especially if you’d be using credit, as that can affect your mortgage qualification,” says Frank.